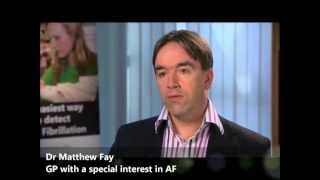 AF is associated with debilitating and potentially fatal consequences including heart failure, stroke, poor mental health, reduced quality of life and death. Some of these risks are associated with symptoms, the impact of which on patients is often underestimated and poorly addressed. The risks of unaddressed symptoms include chronic depression and anxiety, and a profound reduction in quality of life. The risks that receive the most attention are those that exist regardless of whether or not the patient experiences any symptoms. People with AF are twice as likely to die from any cause, compared to people without AF. AF is associated with the development and worsening of heart failure. Video: See the video above for how AF is also the single most powerful risk factor for stroke. People with AF are, on average, five times more likely to suffer a stroke than someone without AF. Moreover, the strokes that they suffer are more severe, often result in greater disability, require longer stays in hospital, result in a higher death rate, and are responsible for much higher healthcare costs and resources. If these risks were not sufficiently grave, an AF patient who has survived a stroke is at much greater risk of suffering a repeat stroke than a non-AF stroke survivor. For these reasons, the routine treatment of AF patients does not always target the heart rhythm disorder itself, but invariably it targets the consequences of AF that can lead to stroke. During AF, blood flow can slow down as fibrillation prevents the normal flow of blood through the heart. Slow moving blood is more likely to allow clots to form. 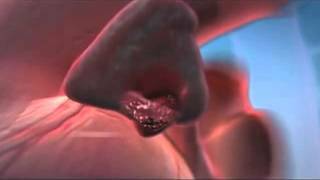 When a clot that has formed against the wall of the atrium breaks away (usually from a small sac off the atrium called the left atrial appendage), it will travel downstream into increasingly smaller arteries where it can cause a blockage. If such a blockage occurs in the brain, the damage done by the lack of blood flow results in a stroke. The clots that form in the left atrial appendage also tend to be very large. Bigger clots can block bigger arteries, resulting in more damage. To reduce the risk of stroke in patients with AF; anticoagulants are prescribed. Until very recently, warfarin was the only anticoagulant recommended in international treatment guidelines for AF. Warfarin, and now some newer anticoagulants, prevent clots from forming as a result of AF. With a reduced risk of clots comes a reduced risk of stroke. Consequently, all AF patients require an individual stroke risk assessment to determine their need for treatment. It is recommended that all but those at a very low risk of stroke be treated with anticoagulation therapy. To help clinicians determine an AF patient’s risk of stroke, experts have developed a scoring system called CHA2DS2VASc, which scores a patient based on the presence or absence of factors known to contribute to the risk of stroke in AF.